Acrylic on handmade Italian wood panel, 11.8 x 15.7 inches/30 x 40 cm. I love the Corvidae genus and painting all these beautiful birds. 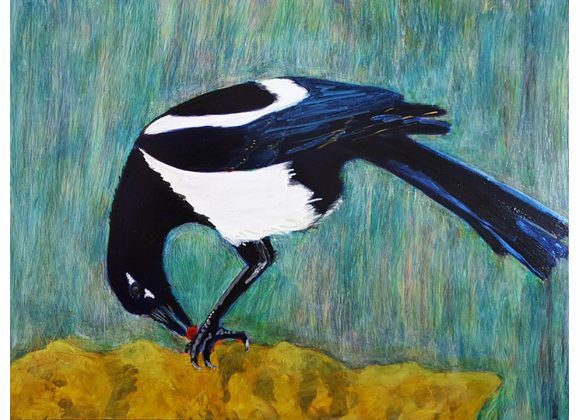 My magpie painting shows a magpie with a stolen ruby - or is a berry? Created in glowing, many layered artist quality paint, the colours are optically mixed to achieve a deep richness. 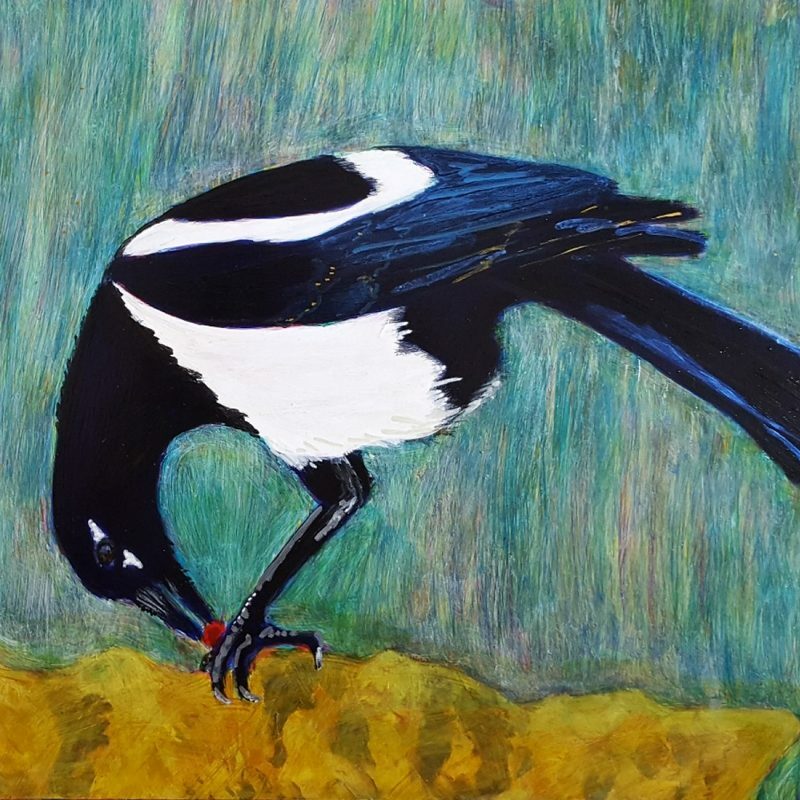 This magpie is painted on a handmade Italian Belle Arti wood panel. Of all the wild birds, it is probably the magpie that is most associated with bird superstitions. As the well known rhyme - one for sorrow, two for joy, three for a girl, four for a boy, five for silver, six for gold, seven for a secret never to be told - shows it is only seeing a lone magpie that brings bad luck, and groups of magpies are said to predict the future. Like many other birds, magpies mate for life and this may be the inspiration for this rhyme. In some parts of the world magpies are not associated with bad luck at all. In Korea a popular magpie superstition has people believing that that the magpie can foretell when they will have visitors in the future. In China it is thought that the magpie’s song will bring happiness and good luck and in some parts of China the magpie is considered a sacred bird.